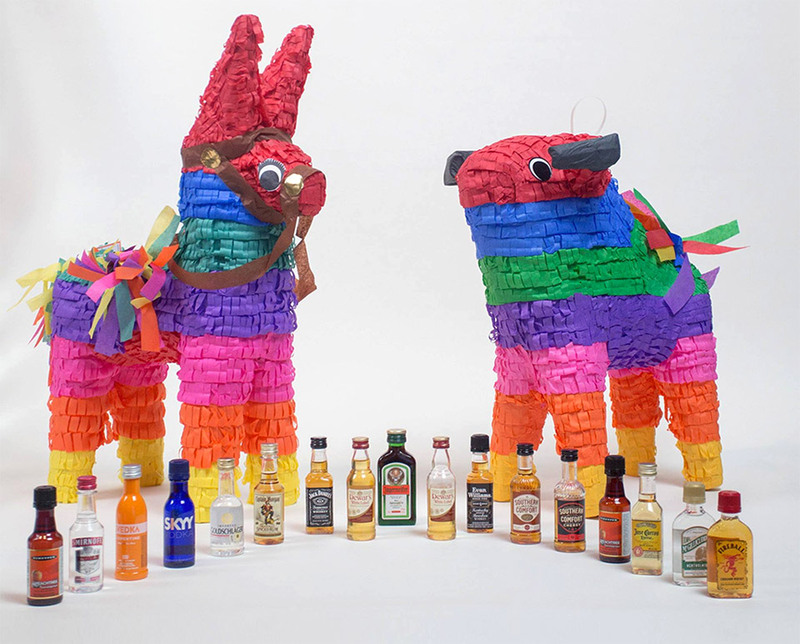 Piñatas for adults. 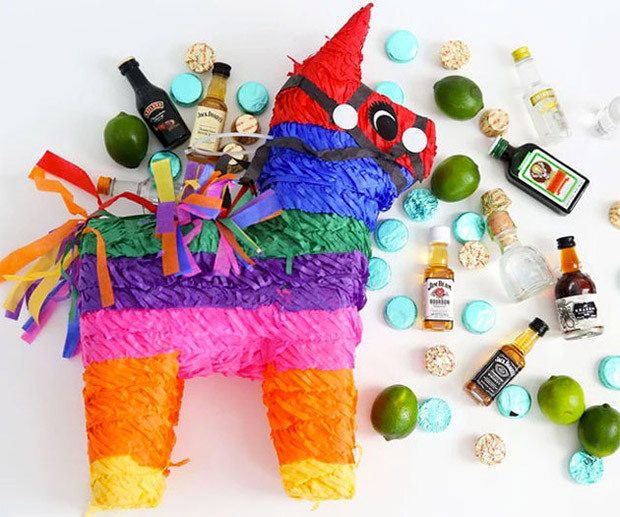 These colorful paper animals come stuffed with not just candy, but those tiny bottles of booze you find on airplanes and in minibars. The Stay Classy Burrito comes with 10 nips of liquor, assorted candies, fun fortunes, a blindfold, hanging twine, and a smashing stick.